Following a record-breaking first quarter for pre-owned transactions, the second quarter of 2017 followed suit with 573 used business jet retail sales – more than any other second quarter in history. 2Q17 used transactions were up 6.5% over 2Q14, the previous second quarter benchmark for used transactions, and up 7.5% over 2Q16. Overall there were 1,104 pre-owned business jet transactions during the 1st half of 2017, up 8.7% y/y from the 1st half of 2016 (the previous high mark for any 1st half of the year). Depending on how you spread and interpret the data and historical trends, the industry could see anywhere between 1,192 and 1,296 used transactions take place during the 2nd half of 2017 – and either would set an annual record for pre-owned transactions. “The pre-owned market is as active as we’ve seen it in a long time. 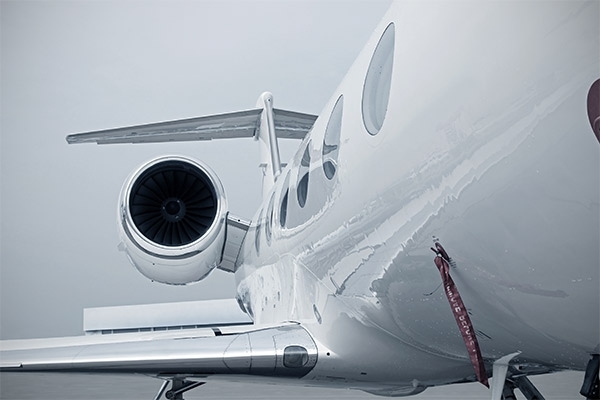 Aircraft that are priced correctly and have a reasonable pedigree are selling quickly – the strongest market being $20MM and less,” says Brian Proctor, President & CEO, Mente Group. Experts in the industry believe that the secondary market needs to recover in terms of inventory levels and value before new aircraft sales are able to get back to the levels they were prior to the recession. With used transactions occurring at record pace during the 1st half of 2017 the stage is set for the 2nd half of the year, which historically tends to be the stronger half of the year for pre-owned sales.